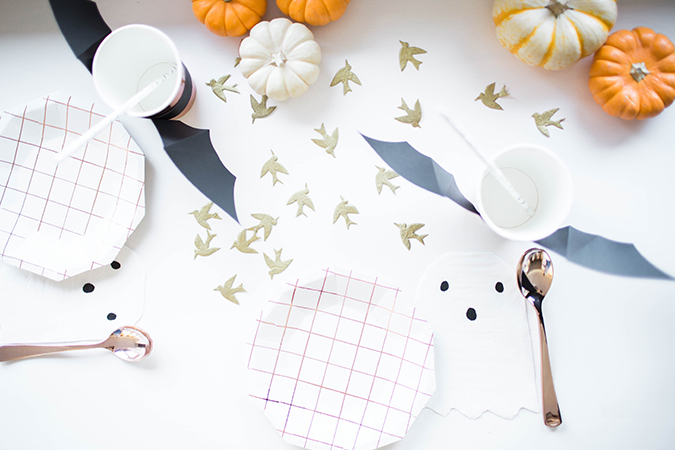 Halloween might just win the award for favorite holiday here at LaurenConrad.com. 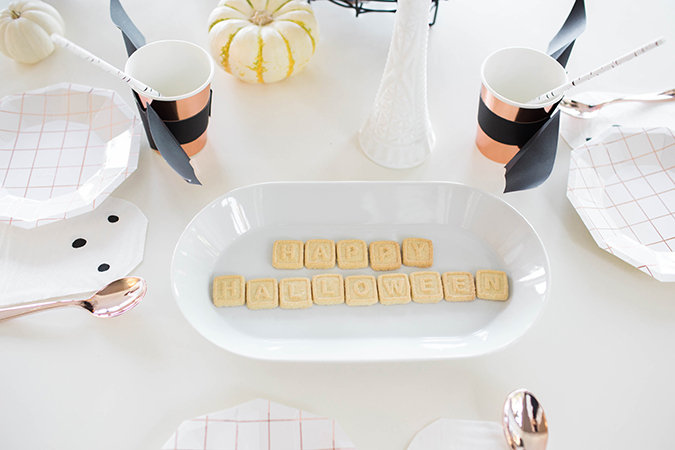 If you’ve been following along for a while, you’re probably familiar with the excitement each year as we whip up our spookiest sweet treats, break out our black and orange décor, vow to take pumpkin decorating to the next level, and eagerly await the reveal of Lauren’s costume. 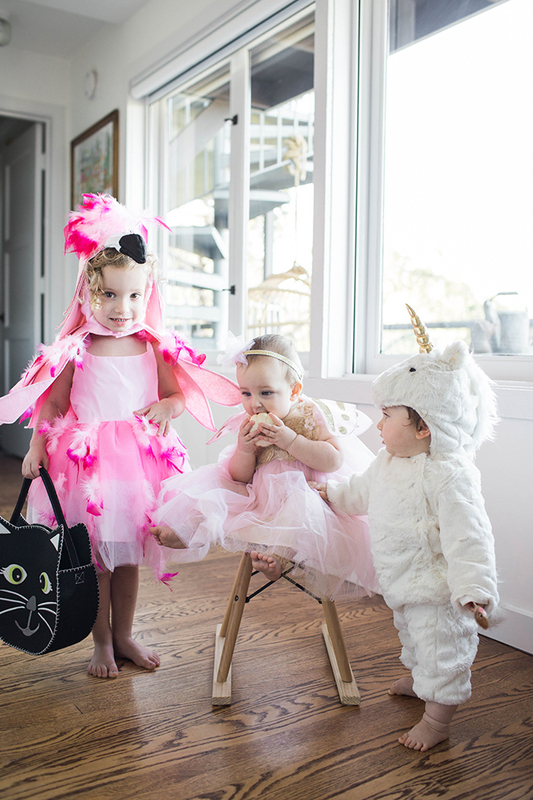 And just when we thought Halloween couldn’t get any better, we added a couple of Team LC babies into the mix! 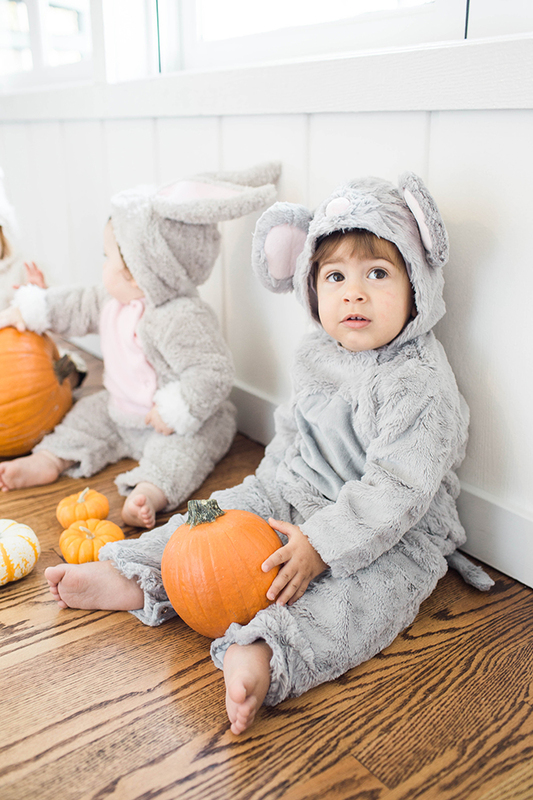 First comes the most fun step of all: picking out a costume for your kiddo! 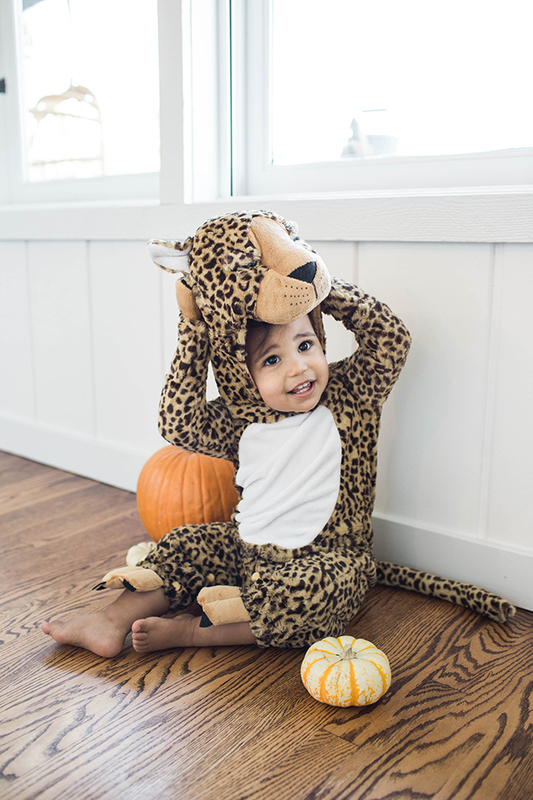 There were a lot of adorable costumes to choose from at Pottery Barn Kids, and to be honest the biggest challenge was narrowing down our favorites. 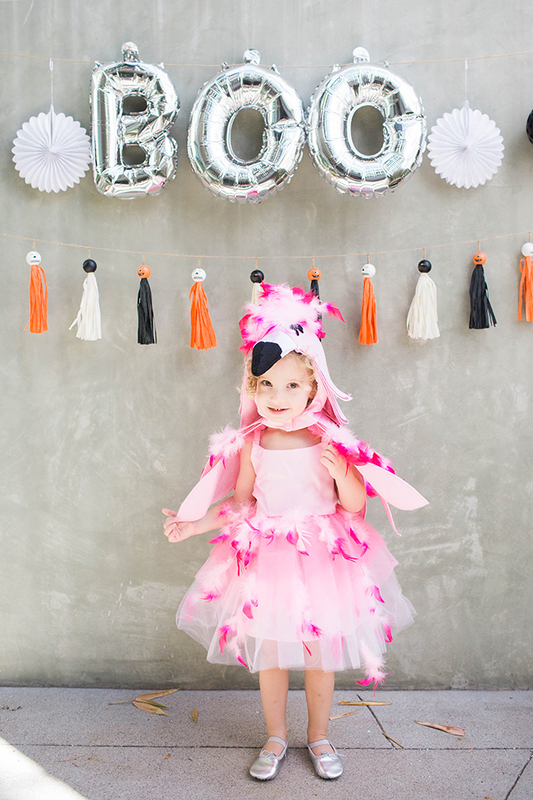 Amongst our editors and friends, two themes really stood out: bright and magical costumes (like the fairy, unicorn, and flamingo) and baby animal costumes, including woodland creatures and a couple of jungle animals, too! It can also be a fun idea to coordinate your own costume or match your babe. Pottery Barn Kids even has a couple of adult accessories too, for one-stop shopping. Make sure you snap tons of pictures of this adorable photo opp. 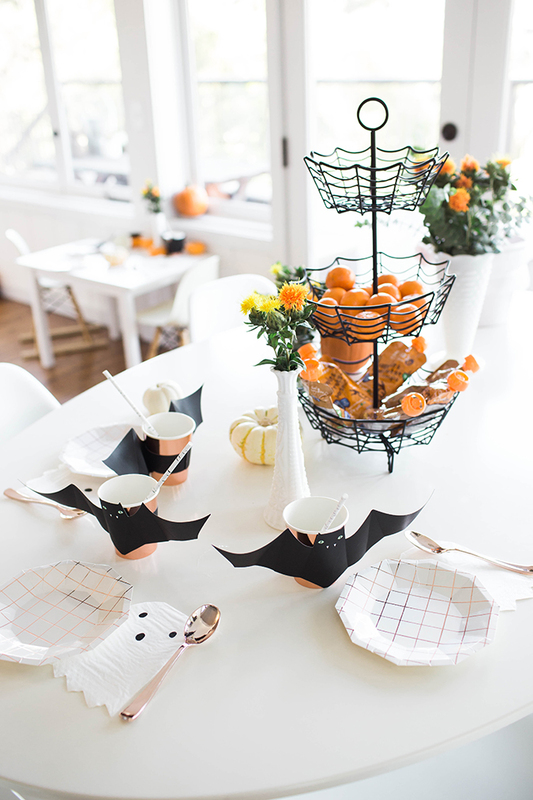 Even if you don’t normally go all out with the Halloween decorations, you may want to set up a simple photo backdrop or ribbon wall to make your photos stand out. Or if you already happen to have your front stoop decked out in pumpkins, that would be a perfect place to pose, too. 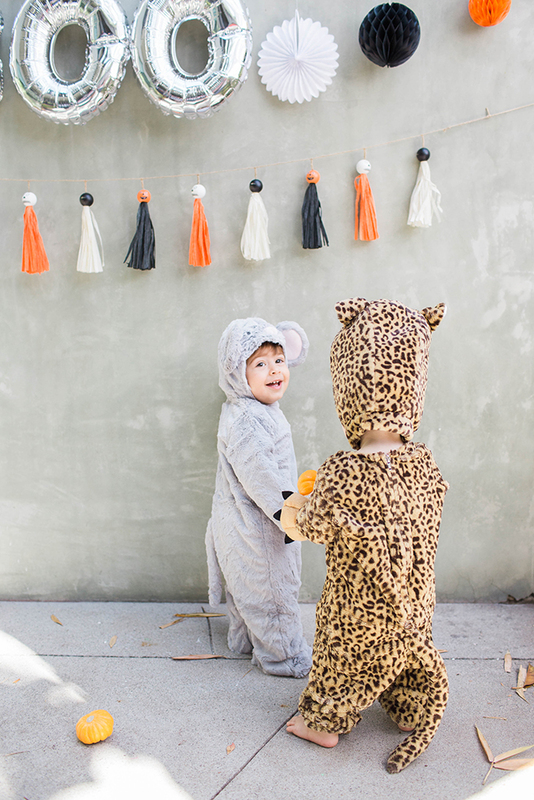 This year we strung up a couple of cute garlands, and invited friends with babies over to take part in this festive “photo booth.” You could also make for yet another adorable photo opp by heading to the pumpkin patch with your little one in tow. 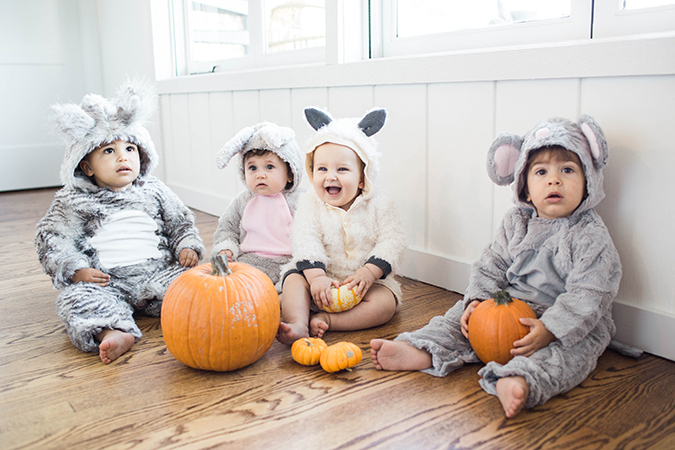 The only thing cuter than one baby in costume is… a group of babies in costume! We invited over all of our baby friends for a mini get-together. 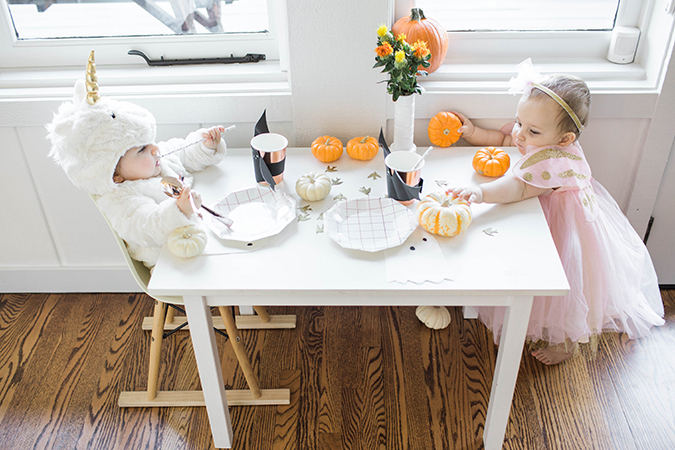 Watching our little Halloween babes interact made for the most adorable moment ever. 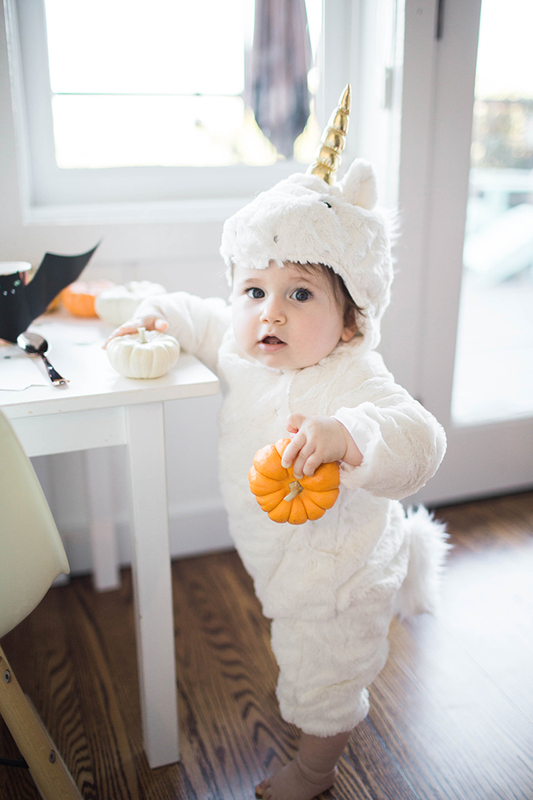 (Are you kidding us with that baby unicorn and fairy?! Too cute.) 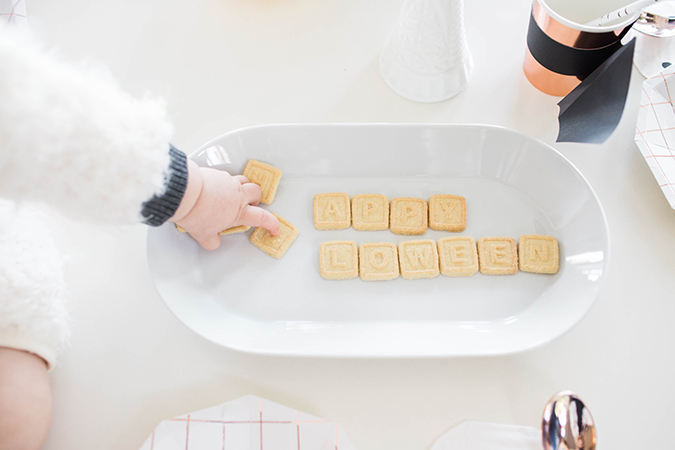 We had snacks for the kiddos, a Halloween playlist playing, some fun and festive décor from Pottery Barn Kids, and lots of mini pumpkins, which proved to be quite entertaining for all the babies. 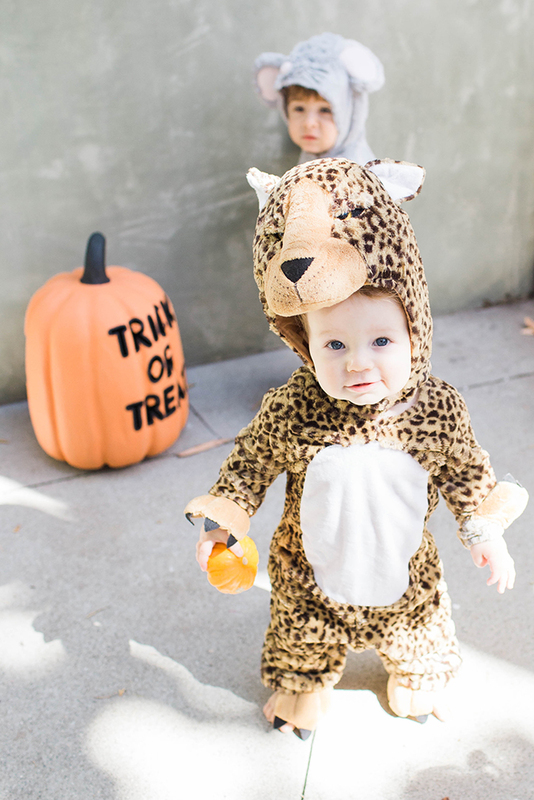 You’re probably not going to be taking an infant trick-or-treating (unless they’re tagging along with an older sibling), but it can be especially fun for babies to sit on the porch handing out candy and seeing all the older kids come by. Plus, you want to really show off whatever adorable outfit you ended up picking for your little one! Which one of these costumes is your personal favorite? 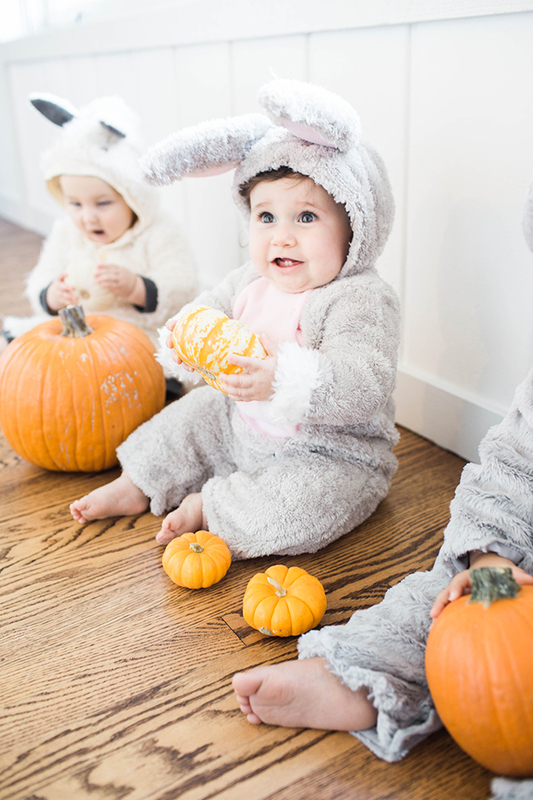 Let us know what your little ones are dressing up as in the comments!